Delineation of organs at risk (OAR) on CT images is a crucial step in the planning of radiotherapy treatment. Manual delineation is time-consuming and high interrater variability is observed within and across radiotherapy centers. Automated delineation of OAR is fast and can lead to more consistent treatment plans. We developed an auto-delineation tool based on a 3D convolutional neural network (CNN) to automatically delineate 16 OAR structures in head and neck cancer (HNC) patients. The CNN was trained off-line using 70 previously collected patient datasets and implemented to be available on-line in clinical routine practice. 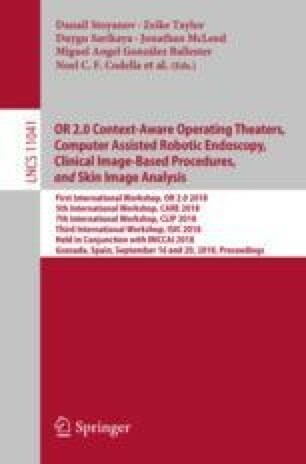 The tool was applied prospectively for delineation of 20 consecutive new HNC cases within the department of Radiation Oncology, with subsequent manual editing and approval of the contours by the clinical expert. Validation based on the automatically proposed and edited contours shows that the auto-delineation tool is able to achieve highly accurate segmentation results for most OAR. As a result, 3D delineation time is reduced to less than 19 min on average (about 1 min/structure), compared to usually 1 h or more without auto-delineation tool.